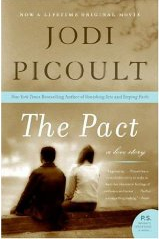 Riveting and well written as all of Jodi’s books are this was another that was hard to put down and will leave you thinking for some time. Jordan McAfee serves as Chris’ defense lawyer in this book and this is the first book by Jodi that this character, his son Thomas and investigater, Selena show up. They later show up in “Salem Falls” and again in “Nineteen Minutes” with the relationship between Jordan, his son and Selena are also expanded.